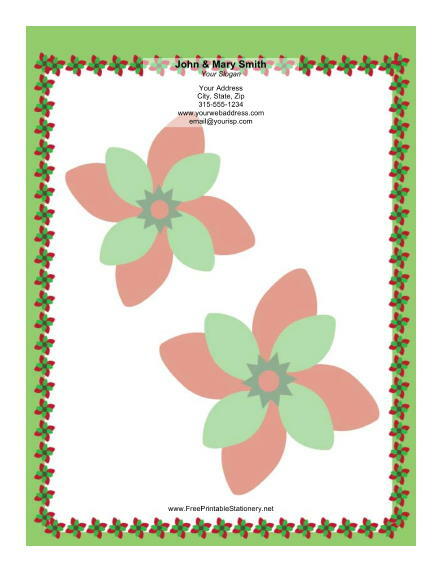 A pair of large colorful poinsettias grow on this holiday paper. They are surrounded by a poinsettia border. These beautiful flowers wrap around your thoughts and greetings like a wreath, making this border appropriate for any holiday letter.